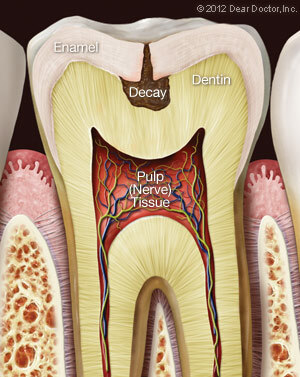 Occasional or momentary sensitivity to hot or cold foods may be caused by a tiny area of decay, a loose filling, or a small amount of gum recession that has exposed the roots of the teeth. To alleviate the symptoms, you can try using a soft brush and toothpaste formulated for sensitive teeth, for a couple of weeks. If that doesn't help, call the dental office to schedule an appointment. 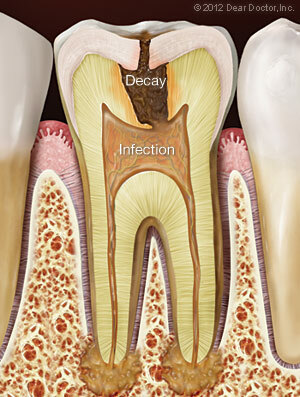 Dental treatment itself sometimes causes temporary sensitivity, which can often be relieved by the same methods. If pain persists or grows worse, however, be sure to seek treatment.